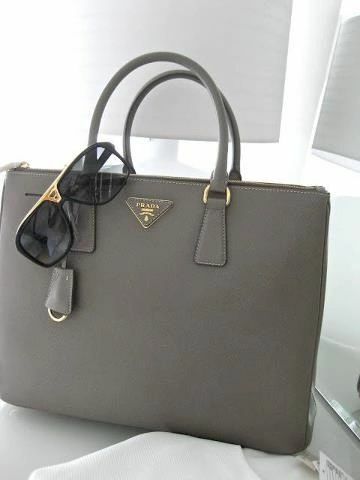 Who doesn’t love sporting a handsome big designer handbag? And the bigger the bag, the more we stuff inside! But carrying that extra weight can cause back, shoulder and tendinitis issues. Experts say your bag should weigh no more than 5 pounds. The average actually comes in at around 20 pounds! Try these purse organization tips to keep the weight in check. *Start by eliminating the excess. You don’t need a handful of hair brushes and loads of lipsticks. Empty out your handbag, get rid of what you don’t need, wipe it down and ditch the trash. Ask yourself what do I really need to be carrying every day? *Sort like with like. Cash, change, credit and insurance cards belong together, makeup and other personal care items together, etc. *Compartmentalize. Keep your ID, money and cards in a wallet. And don’t weigh it down with coins. 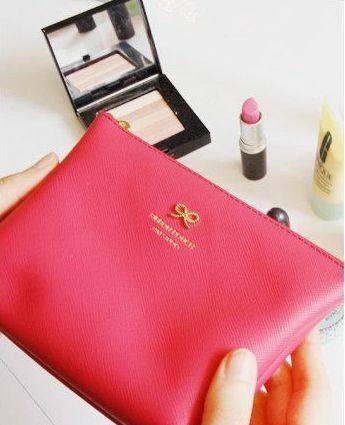 Use a small cosmetics bag to hold your makeup but just the essentials. Keys and cell phone should be stored where they are most accessible. One of the most important purse organization tips is to recognize that it's an ongoing practice. You must maintain your system. To keep it free and clear of clutter, sort and purge on a regular basis. 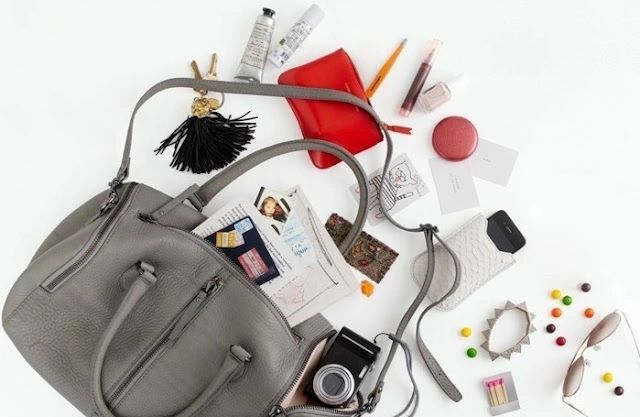 Try to organize and re-pack your handbag every Sunday before you start a new week. If all else fails, opt for a small handbag. Your back will thank you!